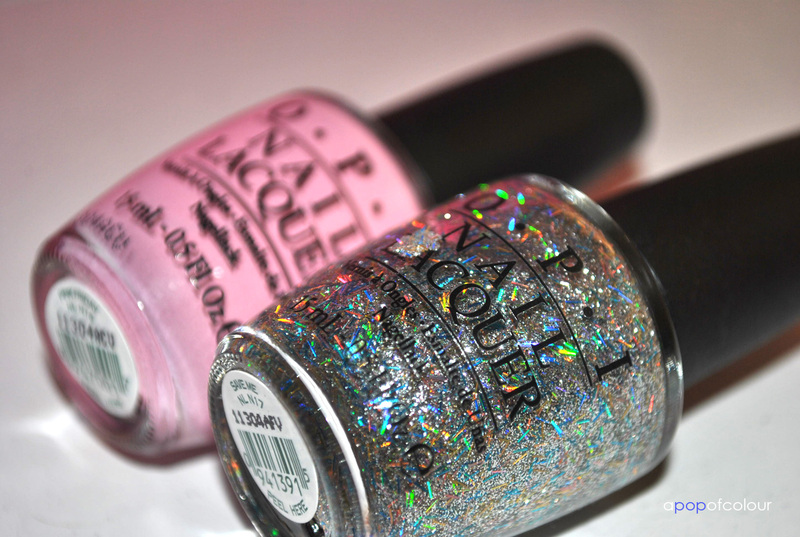 I can seriously say that I don’t think I have ever been so excited over a nail polish collection from OPI before. I really enjoyed the Katy Perry collection from early 2010 but even then there were colours that I loved and others that I didn’t think were that great. Earlier this month OPI released a collection with Nicki Minaj and although I’m not the biggest Nicki fan (I used to hate her until I saw her in concert), I am obsessed with each and every one of these colours. The collection consists of three cream colours, three glitters, and a new shatter. I already featured Did It On Em last week, the bright green colour from the collection. 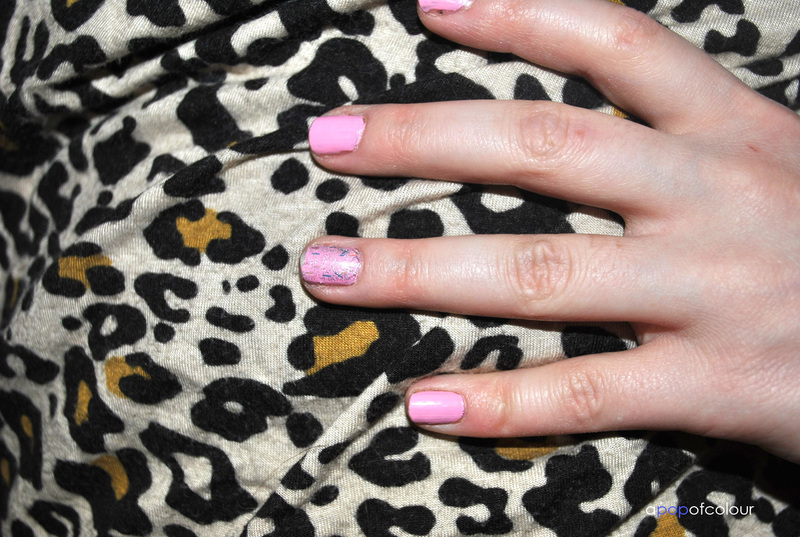 This week I’m sporting Pink Friday with Save Me on my ring finger over top. Pink Friday is a baby pink colour, it’s very pretty but nothing really spectacular. I’m sure OPI has tons of different dupes for this colour. With that being said though, I do really like this colour and really who doesn’t need a baby pink shade in their collection. 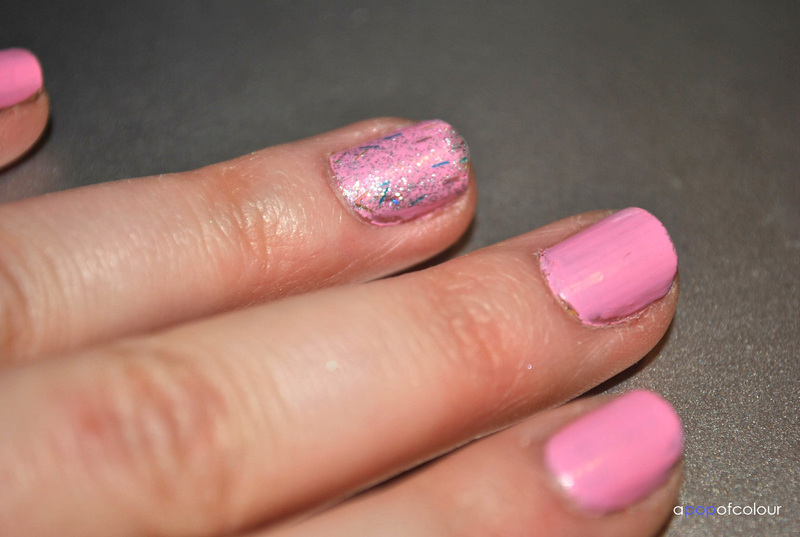 The colour applies kind of streaky, I couldn’t get a perfect application with this even after three coats. I have read that some people compare Pink Friday to Mod About You (my favourite OPI colour ever), but Mod About You is more of a blush pink; it’s more lighter than Pink Friday. I also compared it to SpaRitual’s Knowledge is Power (another one of my favourite colours) but Knowledge is Power is definitely more of a Malibu Barbie, hot pink colour. As for Save Me, this glitter is unlike any other glitter I have seen. 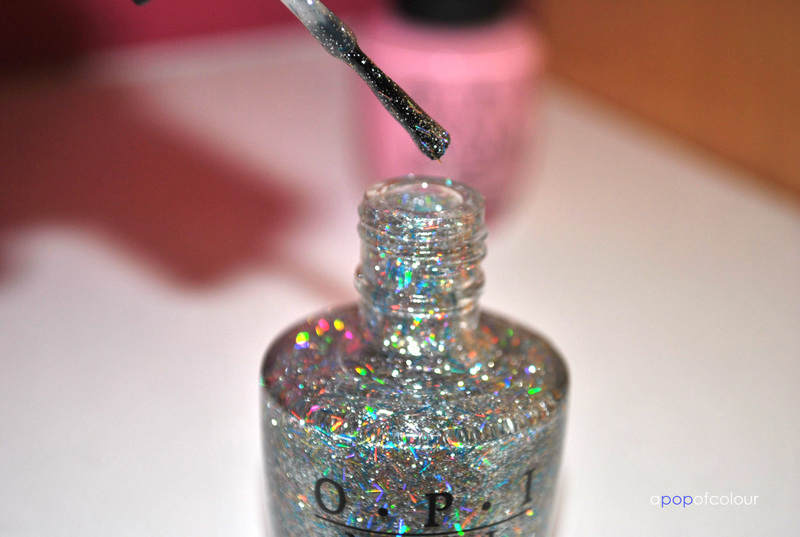 The thing that makes this so special is the fact that it has not only microglitter but bar glitter. Whenever I take a look at this colour I always think of the Saved By The Bell theme song; it’s so ’80s. I haven’t tried this colour on by itself but it looks really nice layered over Pink Friday, it does lighten the colour a bit. 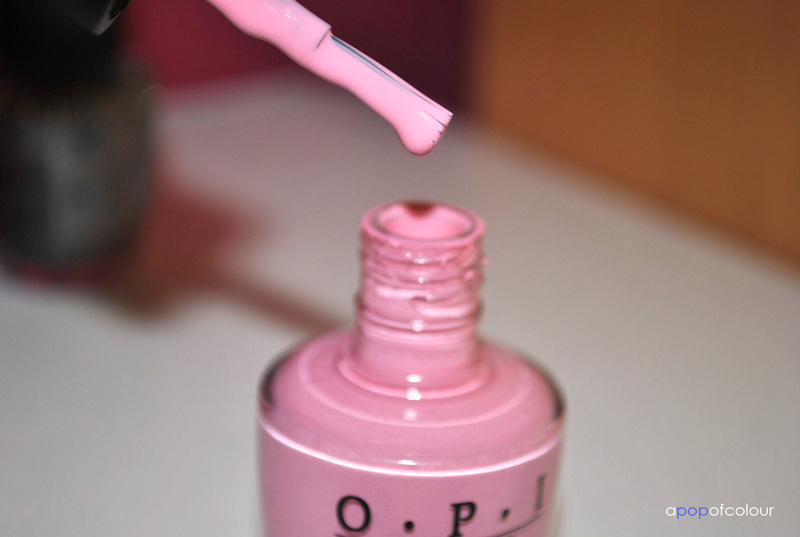 Have you tried OPI’s Pink Friday or Save Me? Leave me a comment below!